Celebrating the first night of Hanukkah this year. I love this! 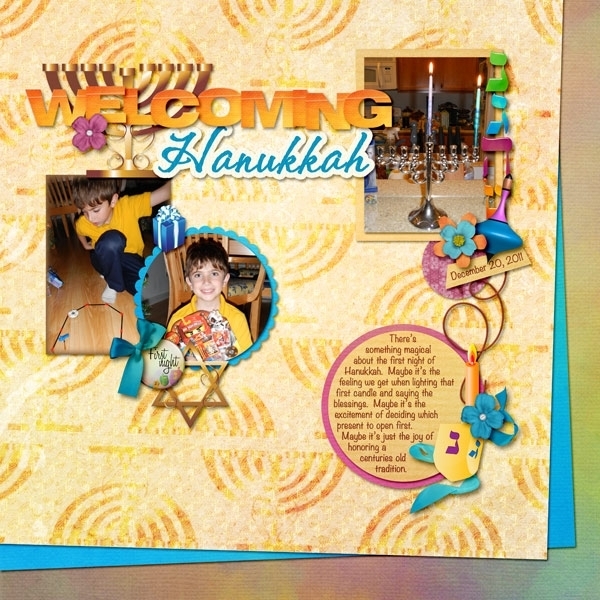 Jo's kit is so colorful, and your journaling is just perfect! I hope it's been a wonderful Hanukkah for you and your family! wahoooo looking GREAT here Jo, and OMG has Michael grown or WHAT! Everything works so well together. Super LO. Lovely layout and a great collection. Great page. I love the layers.